To quote an old, yet so true cliche, "Time sure flies when you're having fun!" Freshly returned from Lollapalooza, I realized that it was exactly a month ago that Sir Dayvd of Oxfordshire was guiding us on our last day in that beautiful part of England. Ah! It was like a dream! Our first stop was the unassuming Parish church where Winston Churchill is buried, St. Martin's Church, Bladon in Oxfordshire. 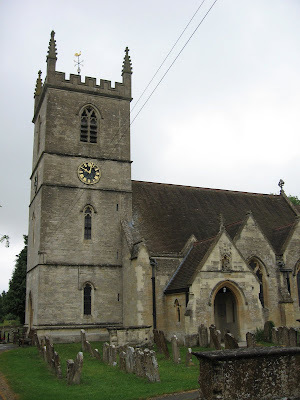 Churchill requested to be buried here because it was close to the ancestral family home of Blenheim. I was struck by how humble a resting place this was for such a larger than life man! 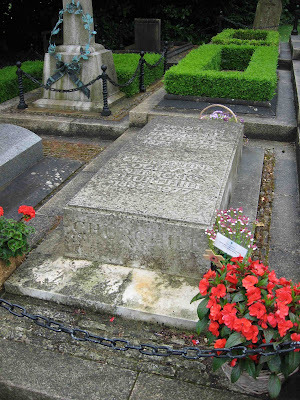 After the State funeral service at St. Paul's Cathedral, his body was brought here by train, where a private family service was held for the final burial. "Cheer up! They will forget you, but they will remember me always!" - After a subordinate made a mistake. "I am surprised that in my later life I have become so experienced in garnering degrees, when as a young school boy I was so bad a passing exams." - After receiving one of many honorary Doctorate degrees. "I always believed in staying in the pub until closing time." - When asked about his drinking. "I play for high stakes and given an audience, there is no act too daring or too noble." - An insight into what made him tick. "I have always earned my living by my pen and my tongue." 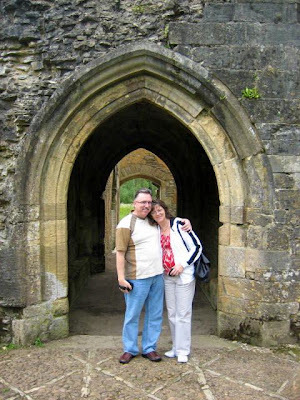 Next stop was the ruins of Minster Lovell Hall, one of Sir D's favorite places to get away for thinking. 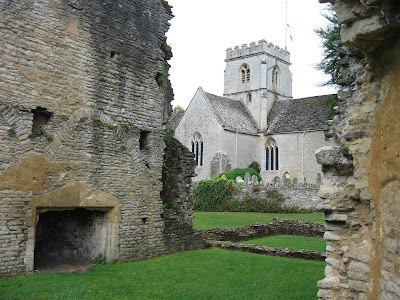 Minster Lovell was built as an impressive Manor for the Lovell family in 1450. Richard III stayed here, but when the Tudor King Henry VII, father of Henry VIII, came to power after the Battle of Bosworth, the estate was declared forfeit and granted to Henry's uncle. It passed hands several times and was finally abandoned and dismantled in 1747. Me and Lady Allwinky at the entrance. Sir Dayvd displaying his better half...or perhaps looking for Father Christmas! Here's a view of the nearby St. Kenelm Church from the ruins. 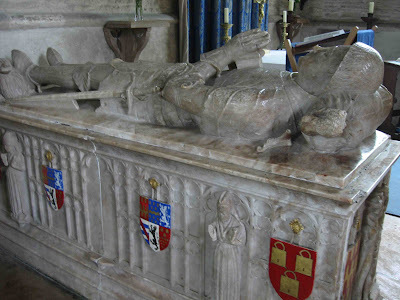 This is the Alabaster Tomb inside St. Kenelm, which is the final resting place of William, the 7th Baron Lovell. William fought with Henry V at Agincourt in 1415 and the Siege of Rouen in 1418. 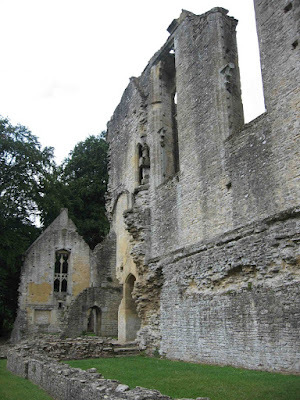 He settled in Minster Lovell in 1431 and tore down the old 12th century Manor and Church and rebuilt them in 1450. 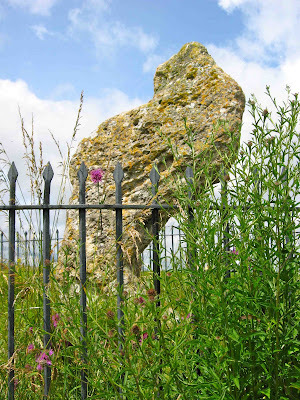 Next on our Oxfordshire tour were the Standing Stones outside of Chipping Norton. 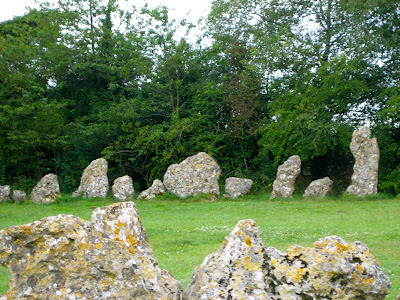 Known as the Rollright Stones, legend has it that they are the stone remnants of an ancient British King's army. Another legend states that it's not possible to accurately count the stones, of which there are supposed to be 77. Of the four of us, two came up with the same number of 74, one had, 75 and one had 76. 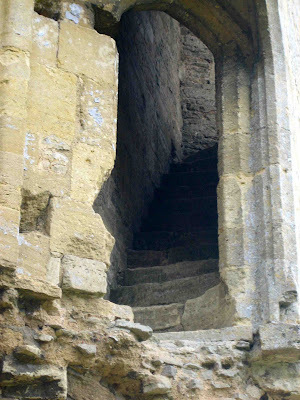 Across the highway, and actually in the adjoining County of Warwickshire, stands the King's Stone. Standing guard over the countryside, this stone is supposed to be the remains of the ancient King. Nearby is a burial mound, which is called the Whispering Knights. The usually boisterous Knights of Moleskine Spirit and Ale where reduced to whispers in this awe inspiring place. 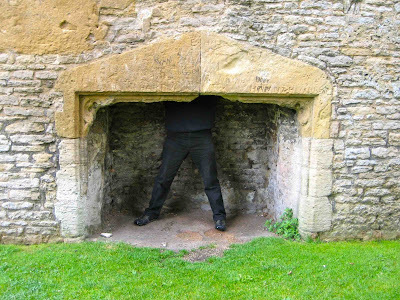 ...where Sir Hook was given the distinct privilege of pulling his own Old Hooky! OK, I know that sounds slightly disgusting...but it was an experience I'll never forget! 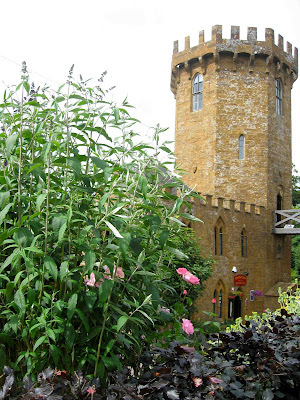 Next stop was the Castle Inn, owned by the Hook Norton Brewery, and situated on the high ground where Charles II watched his troops do battle with the Parliamentary forces during the first pitched battle of the English Civil War at the Battle of Edgehill in 1642. 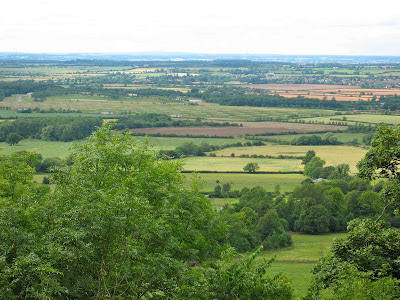 This is the vantage point from the back porch of the Inn, the same vantage point that Charles II viewed the battle before he retired to Oxford, then the site of the Royalist forces. 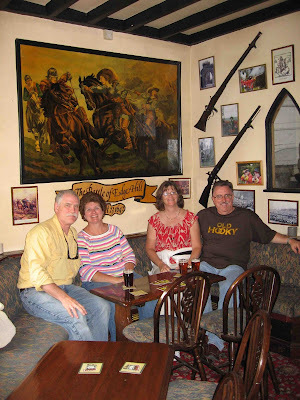 Inside the Tower Tavern we continued our consumption of Old Hooky beers amongst the armor and memorabilia of the famous battle. Above is Sir Dayvd enjoying his beverage of choice and recalling his days as a Pikeman in reenactments of the battle in earlier days. 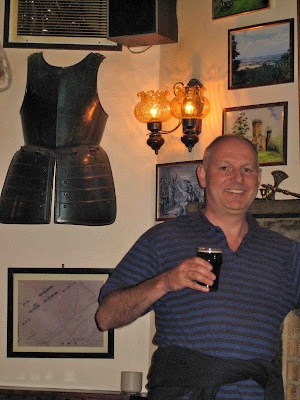 Today he is content to raise a pint instead of a pike! 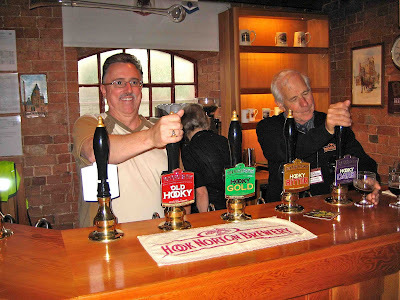 Here are the House of Greenbriar and House of Warrick enjoying Old Hooky in more ways than one! Our last stop of the day has already been covered earlier in a post about C.S. Lewis' house and the Narnia woods and lake behind it. 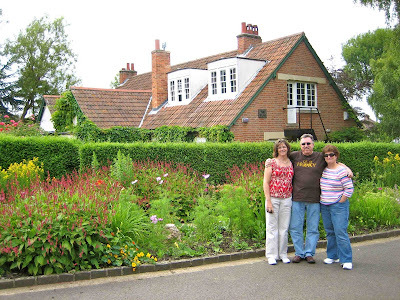 Above is a picture of Lady Allwinky, Sir Hook and Lady Suzanne outside the Lewis house. 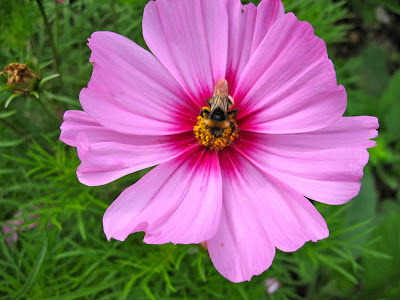 Here's one of the beautiful flowers that adorned the gardens. A busy bee is working hard collecting the days harvest, while this busy bee is thinking about adding an "r" on the end, which brought us to The Jericho Tavern and the Joe Allen Band to top off the last night in Oxford, which again has already been covered in a previous post. 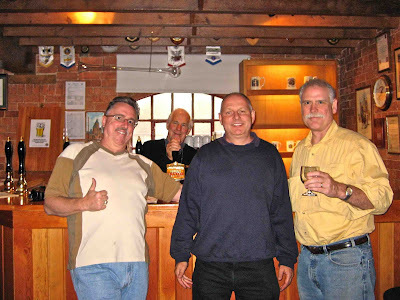 yep..and they are some of Oxfords more recent developments....within the next ten years we will be getting electricty and running hot water.. .
whose the old fella in all the pics with you four....heh its not me..
Sir D ( whose only here for the beer ) of Oxfordshire.. Yes, I loved the Castle Inn. A great day and drive in the country (though, after the brewery and pub, some of it looked like the inside of my eyelids). Lovell Hall was one of the places that made me feel at home - gotta get back into the family history search more seriously! - maybe it was sitting by the water and taking it all in that felt so "right"
Lady Suzanne, "who sees that the striped shirts need to be donated to some taller, thinner woman"